Corbynite activists created another ‘Twitterstorm’ last night with the hashtag #ResignWatson in a drive to force the resignation of deputy leader Tom Watson. It became a top trending topic on the social media site just three days after Labour members got the hashtag #WeAreCorbyn to number one in UK Twitter trends. Both ‘Twitterstorms’ were widely seen as reactions to the party’s ongoing rows over internal antisemitism, with many supporters of Jeremy Corbyn rallying together against critics who say his handling of the scandal has been poor. The demands for Watson’s resignation followed an interview with The Observer in which the deputy leader said the party faced “eternal shame” and should adopt the full International Holocaust Remembrance Alliance (IHRA) definition of antisemitism including all of its examples. Shadow cabinet members Keir Starmer, Barry Gardiner and Jon Ashworth have also urged Labour’s ruling national executive committee to change its new code of conduct in line with the IHRA recommendations. “We should deal with this swiftly and move on. We can’t have this dragging on throughout the summer,” Watson told The Observer. He also called for disciplinary action against Margaret Hodge and Ian Austin to be dropped immediately. Both Labour MPs are undergoing disciplinary investigations after attacking Corbyn over antisemitism. Many of Labour’s Corbynites took to Twitter to voice their beliefs that Watson was seeking to undermine the Labour leader for factional reasons. Rachael Swindon, who runs a controversial Twitter account with over 61,000 followers, suggested there would be “regular protests” against Watson and that people would turn their back on him during his conference speech. Aaron Bastani, editor of Novara Media, published a video explaining the reasons for which he wanted Watson to quit. He said the deputy leader, “not Theresa May”, was an “emblem” of a “rightward shift”. The pro-Corbyn website Skwawkbox, thought to be well-briefed by the leader’s office, reported that Watson had threatened to step up criticism of Corbyn unless given an improved slot for his conference speech. Watson tweeted a response to the hashtag and expressed surprise at being called to resign after “standing up for people who are facing prejudice and hate”. Several Labour MPs, including Wes Streeting and Rosena Allin-Khan (who works in Watson’s shadow culture, media and sport team) deplored the hashtag last night. No shadow cabinet members spoke out. Watson gained a personal mandate as deputy Labour leader when he was elected with 50.7% of the vote in 2015. At that time, he had a reputation as a backbencher with an impressive campaigning record, particularly against the phone-hacking activities of Rupert Murdoch’s News International. But his relationship with Corbyn has been strained. Although Corbynites labelled Watson a ‘Blairite’ on Twitter last night, the MP for West Bromwich East is famously considered a loyal Brownite. He was also known for his strong trade unions links, as he once shared a flat with Unite’s Len McCluskey. 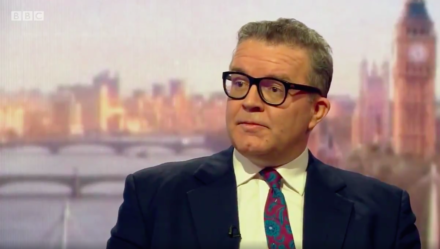 The two do not speak, however, since Watson openly criticised Corbyn during the 2016 leadership contest. The MP recently claimed the Unite general secretary “is coming for me”. The new campaign #ResignWatson has seen the idea of introducing a second deputy leader, who would be a woman, resurface. When asked about the proposed reform in October 2017, he said the gender-equality argument was “nothing but a spurious disguise… for a vendetta against him” according to The Guardian. Matt Zarb-Cousin, Corbyn’s former spokesperson, has spoken out against the #WatsonResign campaign and urged Corbynites to end the “bunker mentality”. His tweets represent a significant break with other notable Corbynites, including Novara Media.